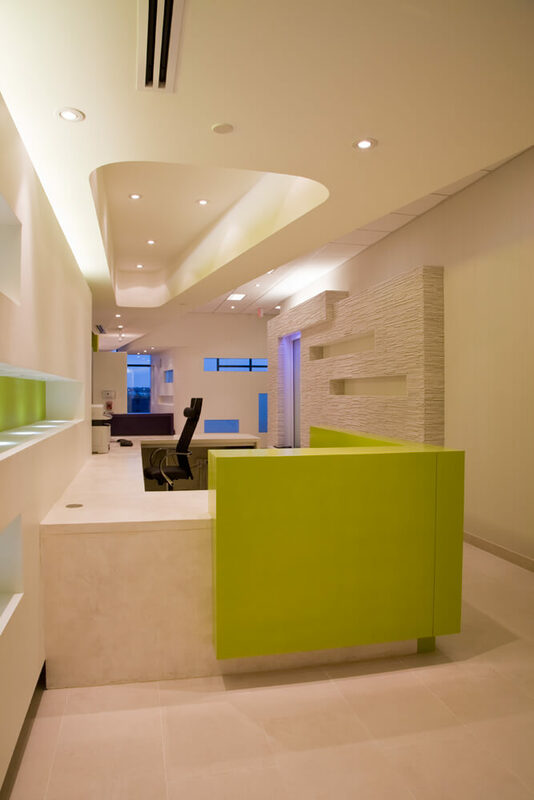 High ceilings, sculptural bulkheads, sandblasted glass walls and the soothing murmur of a waterfall in the Reception area set up the tone the moment you step into this 5000 s.f. 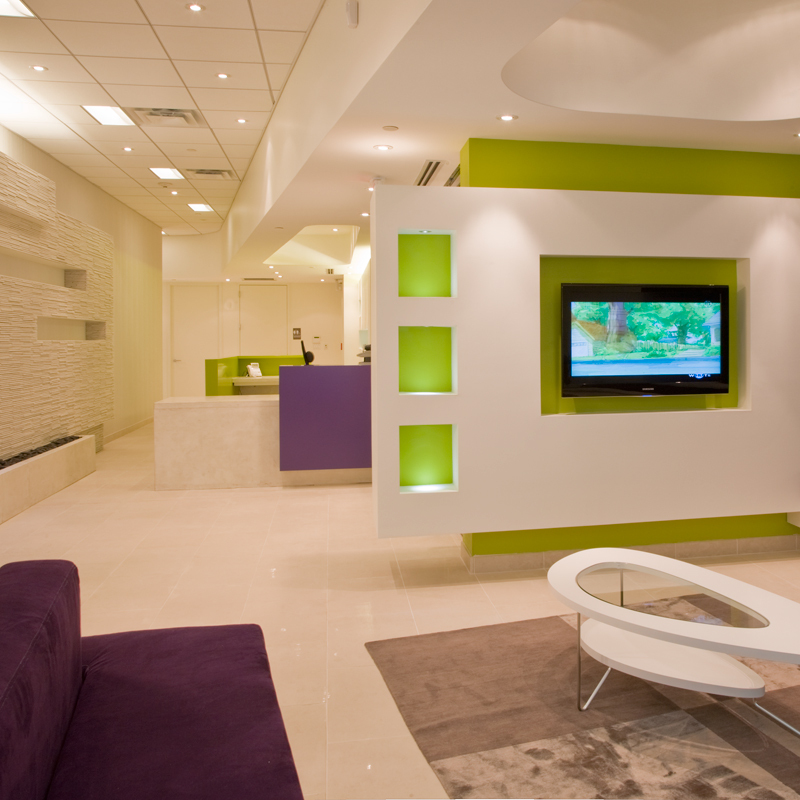 modern dermatology clinic in MD. 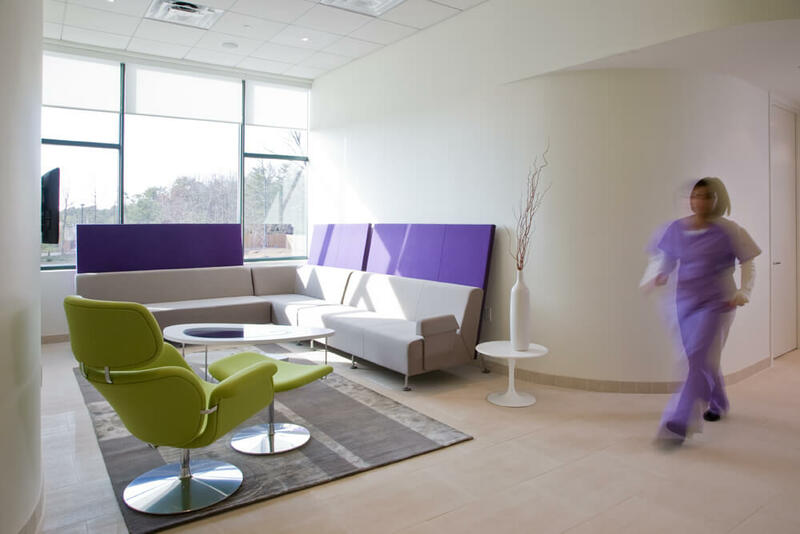 Located in an outer suburb of Washington DC, the practice intends to draw on the exurban crowd that normally travels into the city for treatment, while also appealing to patients from the urban center. 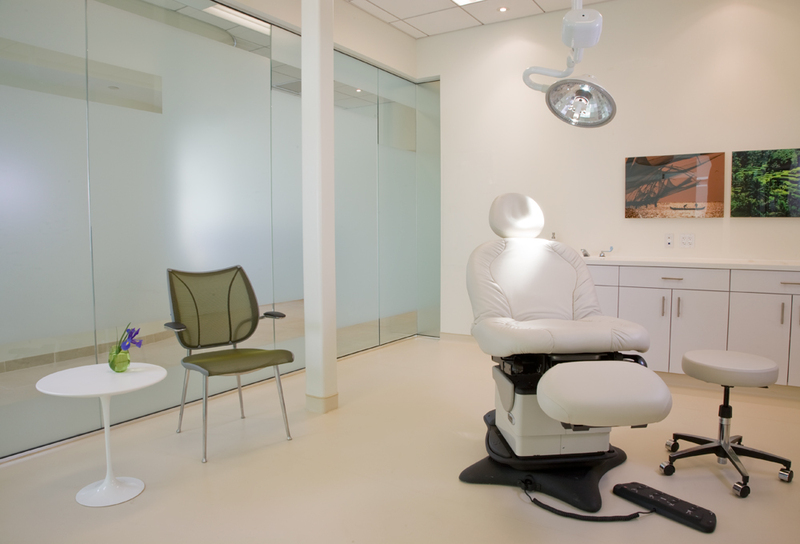 The practice provides MOHS surgery and dermatological care as well as cosmetic procedures. 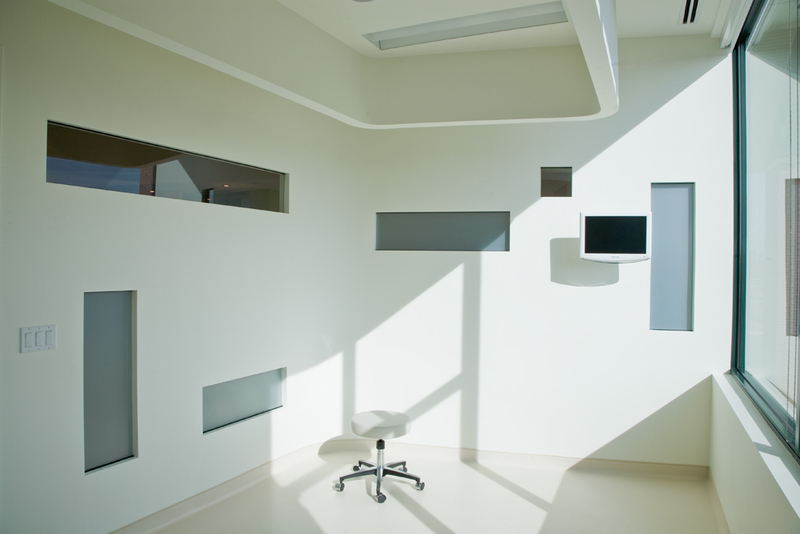 Much of the layout was driven by the lab-intensive nature of the skin cancer surgery process. 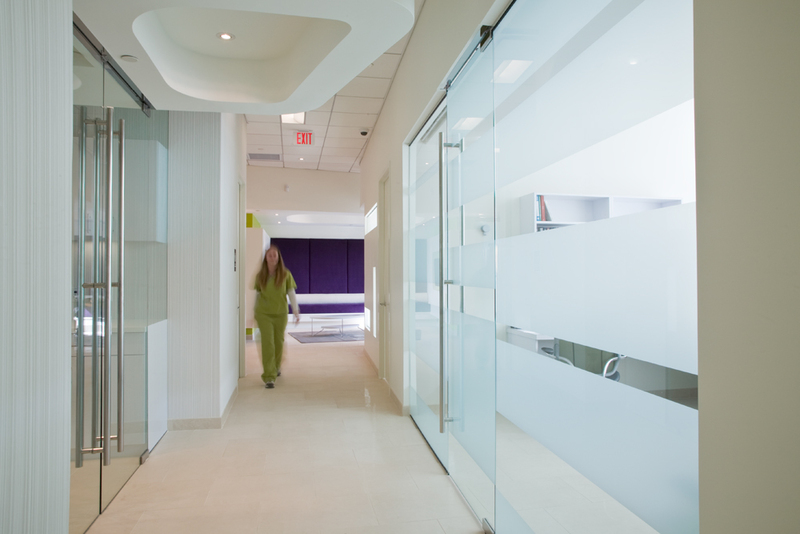 Access to lab functions from each operatory is an important functional requirement. 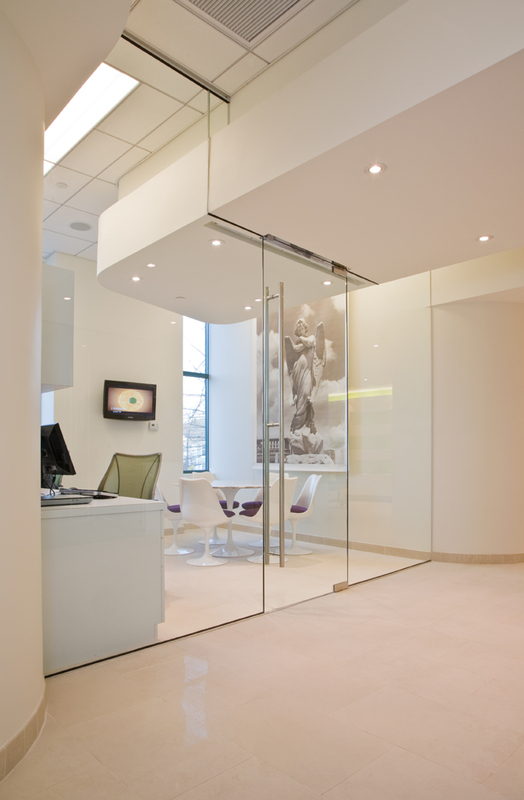 The design capitalizes on the second-story corner location by using glass to blast daylight into the circulation paths and all the interior treatment rooms as well. 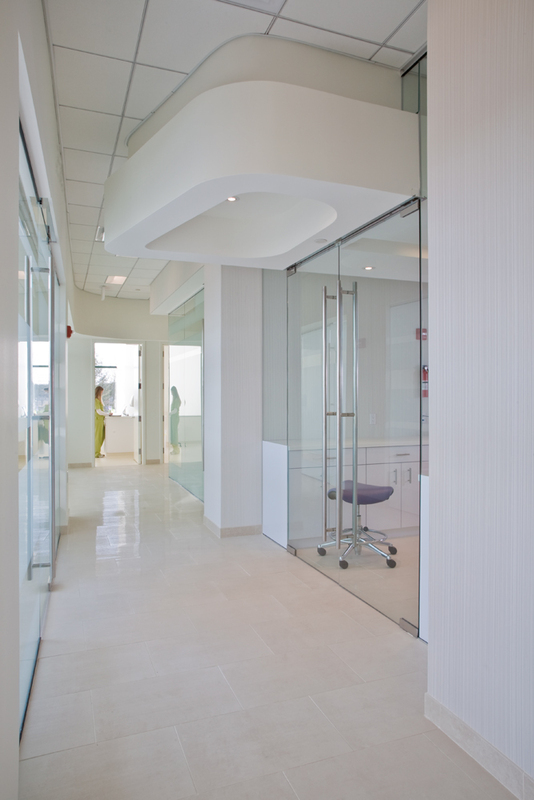 From anywhere within the clinic, the views to the outside and the natural light throughout create an uplifting feeling. 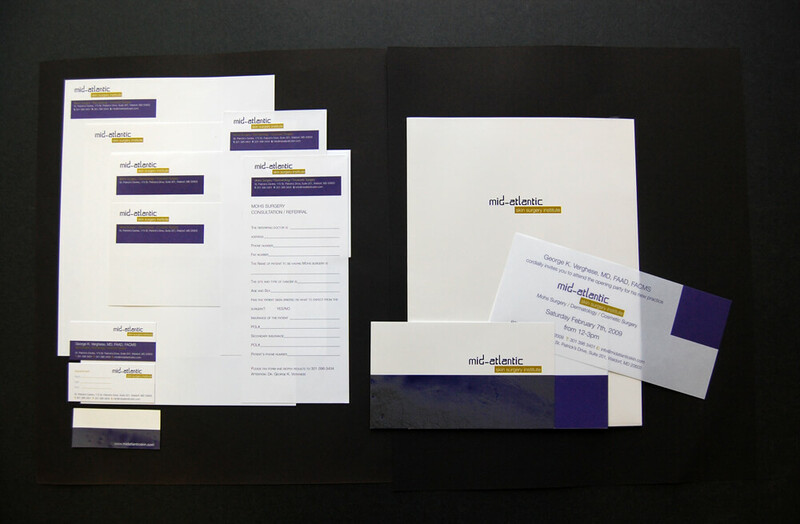 The Office received a 2009 American Institute of Architects/ Potomac Valley Chapter Merit Award in commercial architecture. 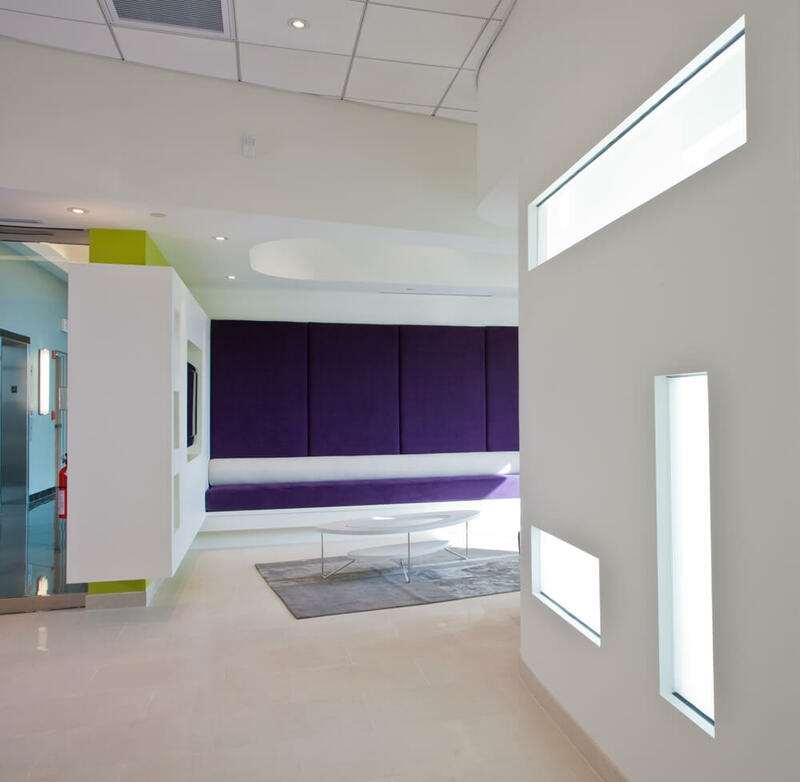 The jury commented, "The clear plan is energized by a series of sculptural forms and a two accent color palette which starts at the front lobby, but is carried successfully throughout the medical office. Light and transparency added to the experience." 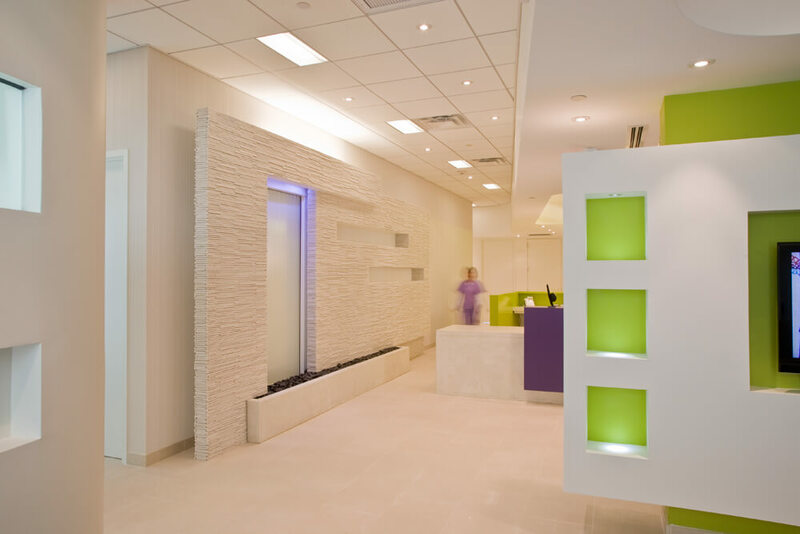 This project was featured in an article on FORMA's Medical work in the Fall 09 issue of Architecture|dc The office was awarded the 2010 Gold Award for Healthcare from The International Interior Design Association's (IIDA) Mid-Atlantic Chapter.